BP expects oil production in Azerbaijan in July-December 2016 to reach a level not less than in the same period of 2015, Bakhtiyar Aslanbayli, BP’s vice president for external affairs and strategy in Azerbaijan, Georgia and Turkey, told reporters in Baku on August 30. In the second half of 2015 oil production of BP in Azerbaijan amounted to 641,000 barrels a day. Aslanbeyli also reported that two stops for maintenance works are planned at Azeri-Chirag-Guneshli (ACG) block’s platforms in the second half of 2016, therefore, it will be difficult to maintain the level of production. In the first half of the current year, BP produced oil at a level of 655,000 barrels per day, said Aslanbayli. The contract for development of the ACG block of fields was signed in 1994. The proven oil reserve of the block nears one billion tons. The shareholders of the project are: BP - 35.78 percent, Chevron - 11.28 percent, Inpex - 10.96 percent, AzACG - 11.65 percent, Statoil - 8.56 percent, Exxon - 8 percent, TPAO - 6.75 percent, Itochu - 4.3 percent and ONGC - 2.72 percent. Aslanbayli also mentioned that BP does not plan to leave the projects of Trans-Anatolian Natural Gas Pipeline (TANAP) and Trans Adriatic Pipeline (TAP), and the company will have no problems with financing a 12 percent share in TANAP project. “Such plans have never been on the agenda of BP. The company plans to stay in the Azerbaijani market at least for a few more decades,” he added. TANAP provides for Azerbaijani Shah Deniz field’s gas transportation from the Georgian-Turkish border to the Western border of Turkey. The gas will arrive in Turkey in 2018, and after the construction of TAP completes, approximately in the beginning of 2020, gas will be delivered to Europe. At the current price of oil, cost optimization is continuing in all projects. “As for Shah Deniz, the cost reduction is less than for other projects,” noted Aslanbayli. 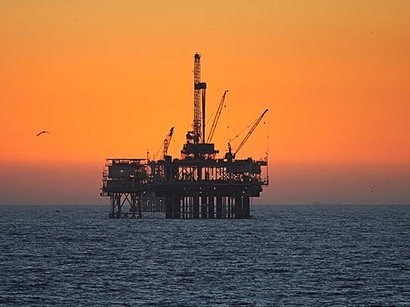 The shareholders of the Shah Deniz project are BP (operator - 28.8 percent), AzSD (10 percent), SGC Upstream (6.7 percent), Petronas (15.5 percent), Lukoil (10 percent), NICO (10 percent) and TPAO (19 percent).